Just a few years ago, we had only two options when it came to watching film or television content: we could watch it "live" (either in theaters or on television as episodes came out by the week), or we could purchase the content when it was released to a store like Best Buy on DVD or BlueRay discs. And for some, this is still the way it goes - a nice, structured, patient approach to viewing new content. However, thanks to a bundle of new streaming methods and on demand services, the ways in which we consume film and television content have evolved rapidly. The simple fact is, there are now dozens of reliable ways to stream content online. In some cases this means old collections of films and TV series, and in some it means brand new episodes recently aired, or films that have just left the theaters. Consider for an example Picturebox, a unique film streaming service online that, instead of offering you every single new piece of content that becomes available or giving you a never-ending string of TV shows to sift through, provides a unique selection of films every month for subscribers. On the other hand, consider online streaming services for independent TV networks, offering entire seasons of old content in addition to brand new episodes online just hours after they air on television. These are just a couple of examples of the types of services that are changing the ways in which we consume entertainment. 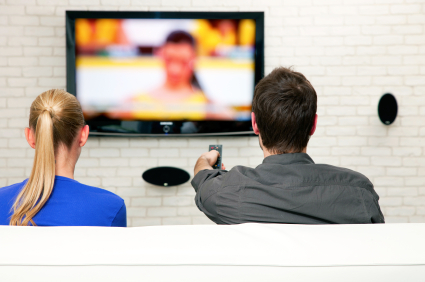 So what's so different about these streaming and on demand services? There are two main factors: accessibility and flexibility. To begin with, as mentioned, various services now give us immediate access to entire series, and to films from decades or weeks ago, depending on preference. This has led to the "binge" consumption, primarily of TV shows. For example, instead of tormenting yourself week in and week out wondering what's about to happen on Breaking Bad, you could wait until the entire series is available on a streaming site and watch the whole thing in a matter of weeks. Additionally, you can consume this content quite literally anywhere with an Internet or 4G connection. When was the last time you stopped and realized you were watching a favorite film on your iPhone? These shifts in content streaming have now simply become standard practices. So the real question moving forward is, where does film and television content go from here? Well, one solution that's beginning to develop is that they're moving directly to streaming services. A recent Business Week article discussed in some detail the growing movement for streaming services like Netflix to start producing original shows, such as the wildly successful and massive project "House Of Cards" and the increasingly popular "Orange Is The New Black." This sort of shift allows streaming services to entirely bypass TV networks in airing their own content, and it may represent the future of how we consume TV content, and where it comes from.